For the first eight years of Ghizal Ayubi’s life, she lived in Kabul, Afghanistan, knowing an education was out of her reach. It wasn’t until Ayubi moved to the U.S. that she realized her life could have the same worth as a man’s life; through education, she could make something of herself she never knew possible back home. 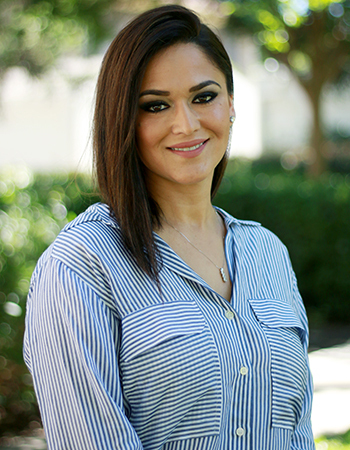 Today she hopes to use her experiences as a child and a woman, as well as the education she has obtained through Stan State’s teacher credential program, to instill those beliefs in others, and to teach children that education is accessible to them and can better their lives the same way it has bettered her own. “I went after something I knew in my heart of hearts I would never have the opportunity to do back home. A good, wholesome education,” said Ayubi, who lives in Tracy and was able to take the majority of her classes at the Stanislaus State Stockton Center. There were challenges along the way. A married mother of three, 38-year-old Ayubi said obtaining an education while balancing family life was difficult. So was assimilating to a life in a new country; she didn’t know a single word of English when her family moved. Ayubi’s belief about the ability education has to change someone’s life drives her passion for teaching. Dedicated to being a lifelong learner and taking advantage of the opportunities she would not have been afforded at home, Ayubi wants the children in her classroom to feel empowered. “Some of these children do have the odds stacked against them and I want to be an adult who helps them break their barriers, fulfill their promises and realize their self-worth,” she said.